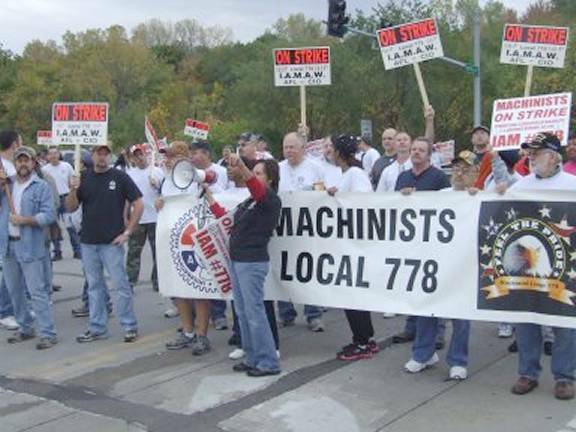 The 840 members of IAM Local 778 in Kansas City, MO, voted by an overwhelming majority to reject Honeywell’s final contract offer with 79 percent voting the proposal down and over 85 percent of our members voting to strike beginning at midnight on October 10, 2011. According to Grand Lodge Representative Steve Nickel, the strike is an “unfair labor practice” strike. “They’re bargaining in bad faith,” said Nickel. The local filed charges against the company with the National Labor Relations Board. 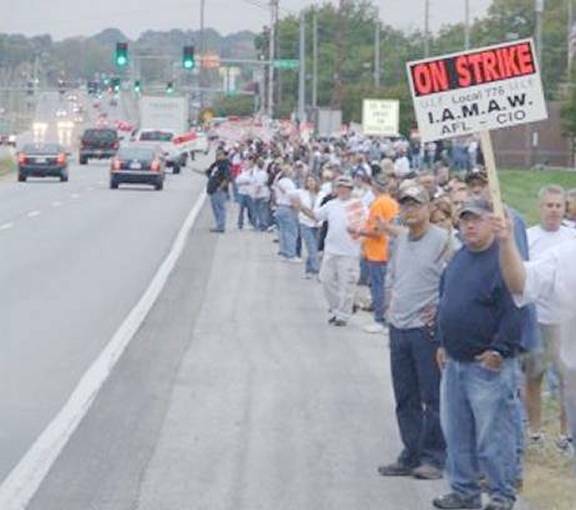 Hundreds of IAM members walked to the plant gates in solidarity, carrying American flags and the Local Lodge banner to encourage others to support their efforts to win the wages, benefits and working conditions they deserve. The Honeywell plant is a federally-owned facility that makes non-nuclear components for nuclear weapons. 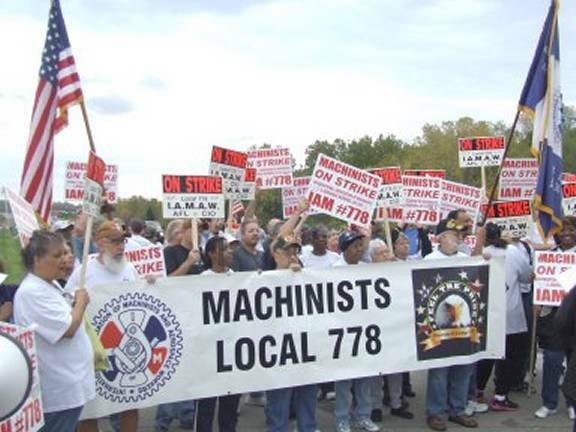 There are approximately 2,800 employees at the plant.